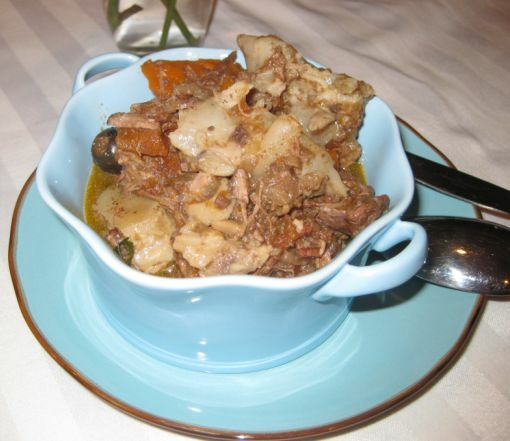 Daube de boeuf à la provençale is a classic French comfort dish made with beef chunks, red wine, tomatoes, carrots, olives, bacon, and perfumed with bouquet garni, cinnamon, cloves, and orange peel. 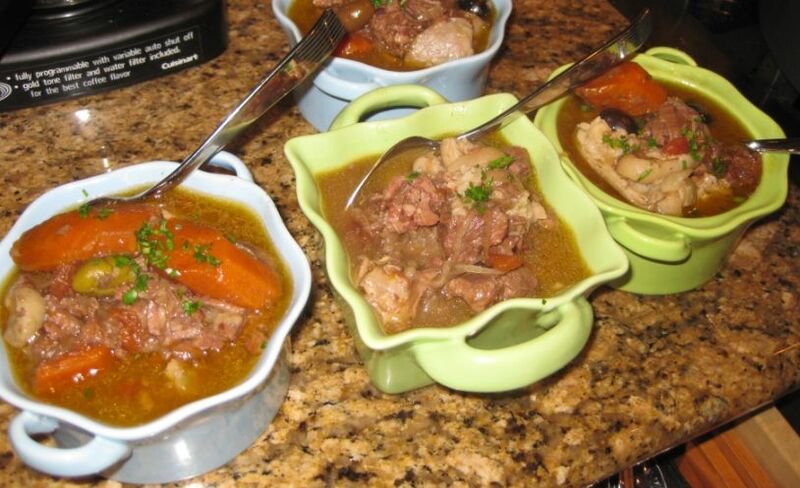 Daube is the ultimate one-pot meal of meat, and broth, bathed in a generous marinade of wine and the result is a flavorful dish. 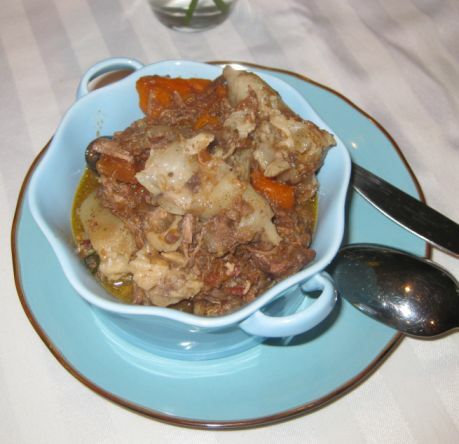 A Daube is merely a word derived from daubière meaning a covered casserole so basically this dish can be translated as beef cooked in a casserole in a Provencal way. 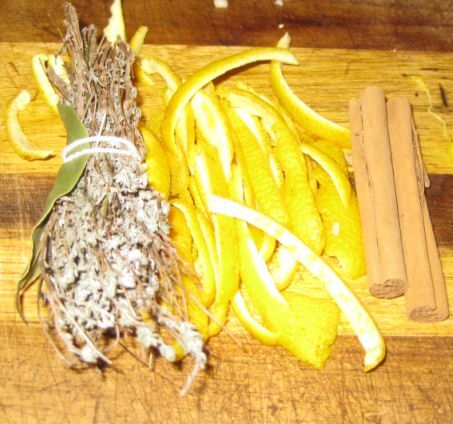 The dish is not difficult to prepare but you will need at least two days to make this dish so plan accordingly. 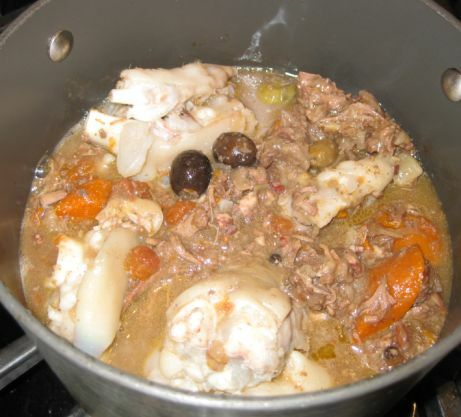 This dish is close to the more famous Beef Bourguignon but it has a twist and that is the addition of the pig's foot which helps the sauce thicken and also enhanced the flavor of the broth. This is the last dish I served for my party! I served it in this little casserole for two people. 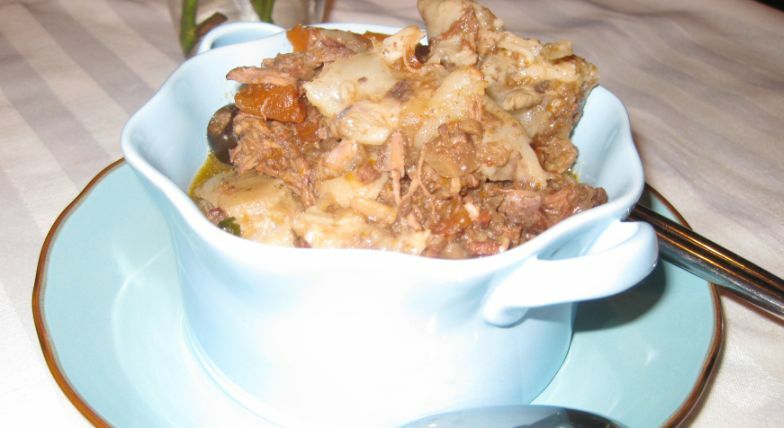 The addition of the pig's leg add extra flavor and texture to the stew. I really enjoy this dish. 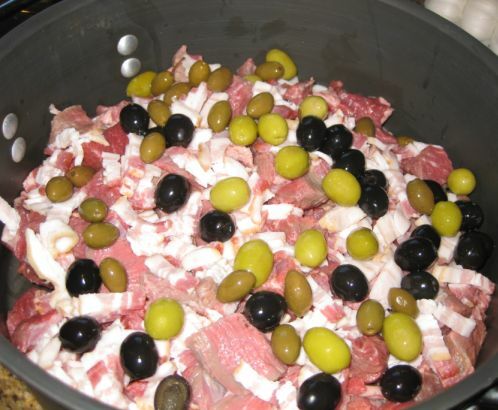 I am sure the leftovers are going to be even better than the day it was served. Closer look at the dish. I love the taste of the pig's leg! Here I am filling up about 7 ramekins to serve to the group (2 per ramekins). 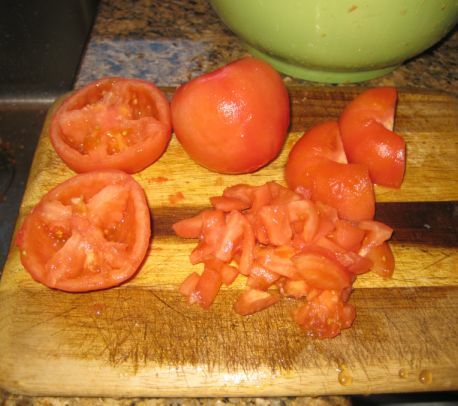 Tomatoes are Blanched then the skin is removed and then sliced and chopped. 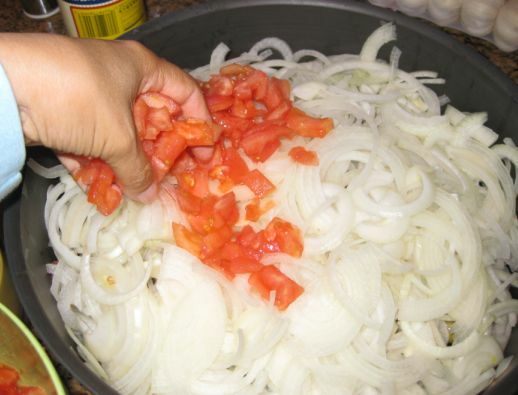 The recipe called for 6 tomatoes. 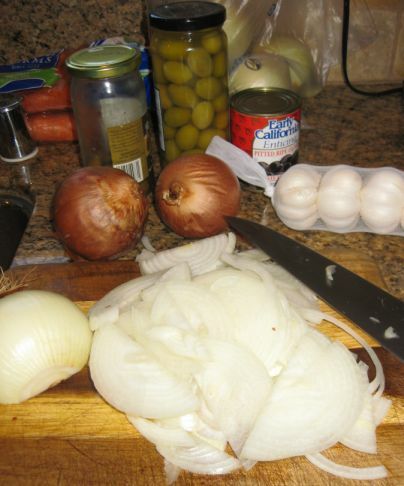 4 onions are thinly sliced. 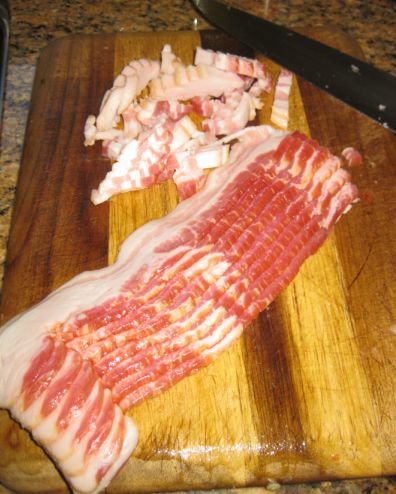 Bacon are cut into small cubes. 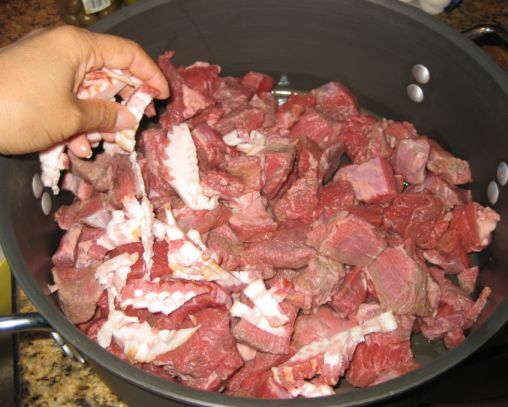 3 pounds of beef chuck are cut into small cubes. 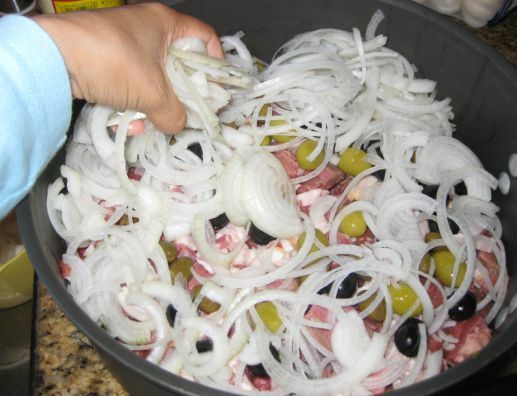 The beef is the first layer in the pan, next the bacon are added on top..
..then black and green olives are added..
A bouquet garni, Orange peel, cinnamon stick and 2 gloves will be wrapped in a cheese cloth and will be added in the pan. 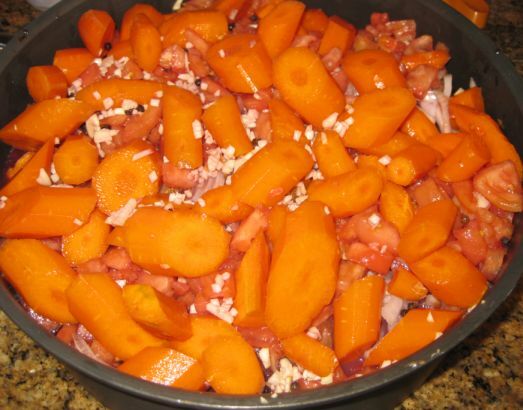 Carrots are chopped, garlic are added and a bottle or wine and beef broth is added to the pan. The whole pan is refrigerated for 24 to 48 hours. 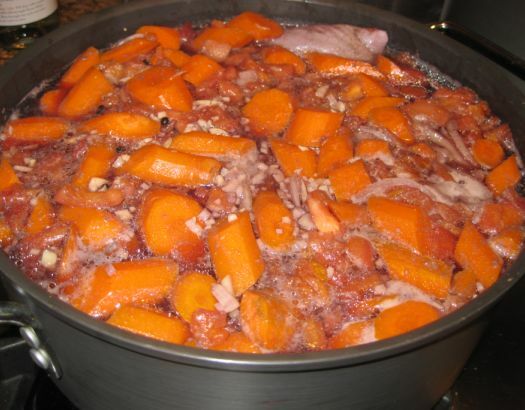 The pig's leg are boiled separated for a good hour and then inserted back into the pot and brought to a boil. When it is ready to serve, I just cut remove the skin and meat from the pig's leg and threw away the bones.. Voila it is ready to be served!